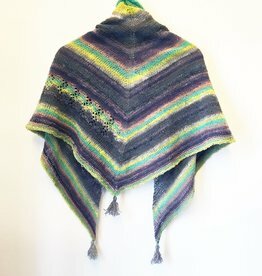 Hand knit one of a kind triangle scarf. cotton/silk/wool. Hand wash, dry flat.